A few months ago, IBM introduced a new blueprint concept called IBM Spectrum Access Blueprint for IBM Cloud Private. Think of it as a recipe for deploying your own private cloud environment. To refresh your memory, IBM introduced this innovative and revolutionary platform as a service (PaaS) delivering IBM applications and middleware for modernizing traditional workloads and deploying cloud-native applications for private clouds. This offering enables incredible benefits, such as ease of use, improved resource utilizations, costs savings and simplified operational tasks, traits usually available only through public clouds. This solution is ideal for environments where business initiatives and regulatory requirements dictate that your data remain on premises. 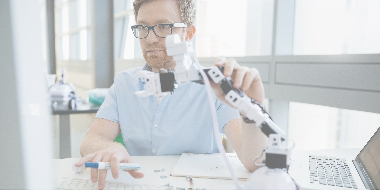 By following the IBM Spectrum Access Blueprint solutions, clients can tackle next generation workloads from deep learning, machine learning, artificial intelligence, continuous integration/continuous development as well as cloud-native applications in the private cloud. We are now introducing exciting enhancements to IBM Spectrum Access Blueprint, namely IBM Power Systems servers plus full support of all of IBM’s block storage solutions so that you can now maximize your choice and flexibility in creating your own private cloud. IBM Spectrum Access Blueprint for IBM Cloud Private will continue to evolve, adding more options and features, extending our multi-cloud capabilities with pre-tested and proven architectures as we deliver solutions across hybrid cloud environments. Developers can now achieve blazing-fast application deployment in a persistent storage environment that is ideal for mixed workloads and purpose built to exceed the very high IO needs for cognitive, machine learning or deep learning systems. New cloud-native applications integrated with core business data can now be co-located with on-premises data stores for best performance and near-zero latency access times. 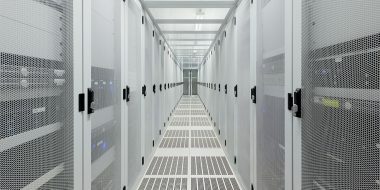 Data center administrators can deploy IBM Cloud Private on their choice of scale-up or scale-out Power Systems servers that have enterprise reliability, availability and serviceability (RAS) supporting GPUs that have been optimized for machine learning and deep learning workloads. The POWER processor architecture is optimized to process data and cognitive workloads faster and more efficiently: with wider memory bandwidth, larger cache and the industry-unique NVLink that directly connects GPUs to the CPU for a 4x or better average performance advantage when compared to other server platforms. Optimized for cognitive services, Power Systems servers can efficiently deliver insights faster. How? Because of fewer systems and improved horizontal and vertical scalability on the right architecture. An example would be the IBM POWER9-based AC922, delivering 3.8 times the reduction in AI model training times compared to the competition. And with multi-architecture support for Docker containers, developers can easily control and automate which platform to deploy specific containers to for best results. IBM Cloud Private on IBM Power Systems enables enterprises to create or modernize applications while providing tight integration with the critical data that applications require. By co-locating apps and data, clients will see near-zero latency when integrating with data stores managed in Linux, AIX or IBM i environments. In addition, we have IBM Cloud Private for Power Systems Starter Kits. These kits offer implementation guidance along with the IBM Spectrum Access blueprint to help organizations get up to speed quickly on their choice of Power Systems infrastructure. Check out the Starter Kits HERE on the IBM Cloud Private for Power DeveloperWorks page. Click here to learn more about IBM Cloud Private and try the software. In addition to bringing IBM Power servers into the IBM Spectrum Access Blueprint, we now offer support across IBM’s entire family of block storage solutions. This comprehensive portfolio allows you to create the ultimate Private Cloud deployment. IBM® Storwize® all-flash solution featuring scalable, high performance storage for all price points. Built with IBM Spectrum Virtualize™ software it can consolidate multiple workloads and virtualize over 400 3rd party arrays into a single system. Please note that IBM FlashSystem® 900 all-flash storage arrays, is also supported and delivers Tier 0 hyper performance when virtualized behind the IBM Storwize all-flash solution. IBM FlashSystem® A9000 and A9000R all-flash solutions are easy to deploy with consistent predictable high-performance IBM FlashCore® technology. It also delivers a parallel architecture with flash-optimized data reduction in an innovative system, purpose-built for the cloud. IBM DS8K family designed to deliver superior all-flash performance with extremely low response times. It also supports six-nines availability to support today’s complex IT environments such as emerging cloud, mobile, social, analytics and cognitive workloads. 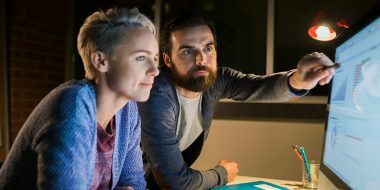 IBM Spectrum Access continues to assist enterprises transform as they move to the cloud, enabling them to build new applications using modern technologies like Docker containers and Kubernetes. It delivers a certified storage solution for container environments, assisting with the client’s journey to the cloud. IBM Cloud Private with IBM Spectrum Access Blueprint continues to accelerate the work of enterprise developers, by providing access to valuable data and applications behind the firewall through a flexible container-based architecture and API-based catalog of services. Delivering everything from best-practice architecture designs to detailed configuration documentation, available to make a single-vendor deployment option a far easier and faster path to new revenue and profits.